IT Band Syndrome also known as ITBS is an injury commonly seen in runners and cyclists, especially in athletes training in long distances. The iliotibial band is a thick ligament that attaches from your pelvis down to the side of your knee. 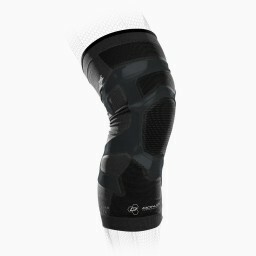 The IT band helps stabilize your knee when you run. When the IT band is tight, it may rub against your thigh bone which causes the sharp pain many feel just above the knee on the outside or on the entire IT band. The pain may gradually occur as you continue your activity but you might feel no pain when you begin. 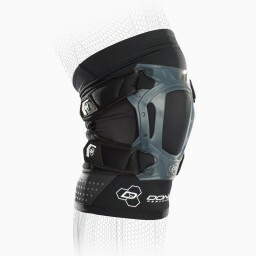 Wearing an IT Band brace or strap for your knee helps relieve pain from ITBS. The brace works by relieving tension and prevent rubbing of the IT band on your femur. In addition to bracing your knee for ITBS, make sure you add foam rolling, icing, and rest for your IT Band pain relief and recovery.